Plantain - ARTE AMAZONIA provides a global voice through art for the indigenous cultures of the Amazon. Plantain (pronounced /ˈplæntɨn/; also UK: /ˈplɑːntɨn/ or US: /plænˈteɪn/) is the common name for herbaceous plants of the genus Musa. The fruit they produce is generally used for cooking, in contrast to the soft, sweet banana (which is sometimes referred to as the dessert banana). There is no formal botanical distinction between bananas and plantains, and the use of either term is based purely on how the fruits are consumed. North America was first introduced to the fruit as "banana plantain", and in the United States and Europe "banana" generally refers to that variety. The word "banana" is sometimes used to describe other plantain cultivars, and names may reflect local uses or characteristics of cultivars: cooking plantain, banana plantain, beer banana, bocadillo plantain, etc. All members of the genus Musa are indigenous to the tropical regions of Southeast Asia and Oceania, including the Malay Archipelago (modern Indonesia, Malaysia, Brunei and the Philippines) and Northern Australia. 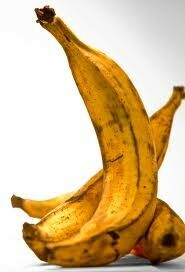 Plantains are a major food staple in equatorial Africa and South America. Their attractiveness as food is that they fruit all year round, making them more reliable all-season staple food, particularly in communities living in mountains or forests with inadequate food storage, preservation and transportation technologies.